You are here: Home / Great Deals / Holiday Time Christmas Outdoor Laser Light Just $18.88! 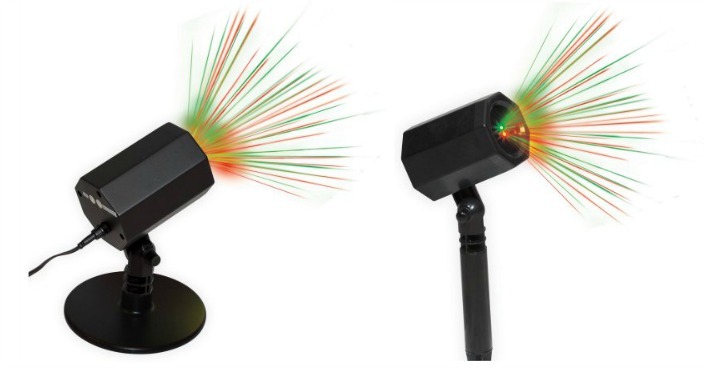 Holiday Time Christmas Outdoor Laser Light Just $18.88! Right now you can get this Holiday Time Christmas Outdoor Laser Light for just $18.88 at Walmart! The Holiday Time Christmas Outdoor Laser Light adds a festive accent to your yard. It can be quickly set up and ready to use. The red and green laser light displays the magic of the holiday season. It can beautifully illuminate the front of your home or exterior decorations. Use one or more to create a holiday wonderland in your neighborhood.